Flybe are the equity partner of Eastern Airways. Flights between Aberdeen and Newcastle are to increase next week to help meet the growing demand of the oil and gas sector. The new Eastern Airways service will now offer up to four flights a day in parallel with the Durham Tees Valley service. Altogether, Aberdeen and the north-east of England will see seven flights a day during weekdays. Roger Hage, Eastern Airways’ general manager of operations, said: “After a strong start to bookings in 2019, we have significantly increased our Aberdeen to Newcastle service with some weekday customers now having double the amount of flights to choose from, thanks to our Monday-Thursday services operating four times daily from Aberdeen. 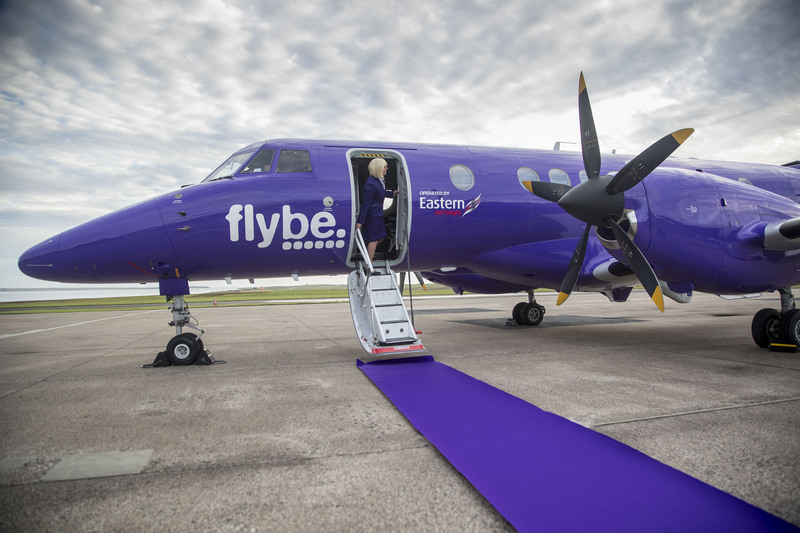 The Eastern Airways service, run with franchise partner Flybe, will also continue to offer a weekend service on Sundays, the firm said. Fares between Aberdeen and Newcastle start from £79.99 one way, including taxes and charges. Steve Szalay, Aberdeen International Airport managing director, said: “Newcastle has strong links with the energy sector and is therefore an essential destination for our business passengers. It is also a great location for a weekend break, consistently voted as one of the best in the UK.